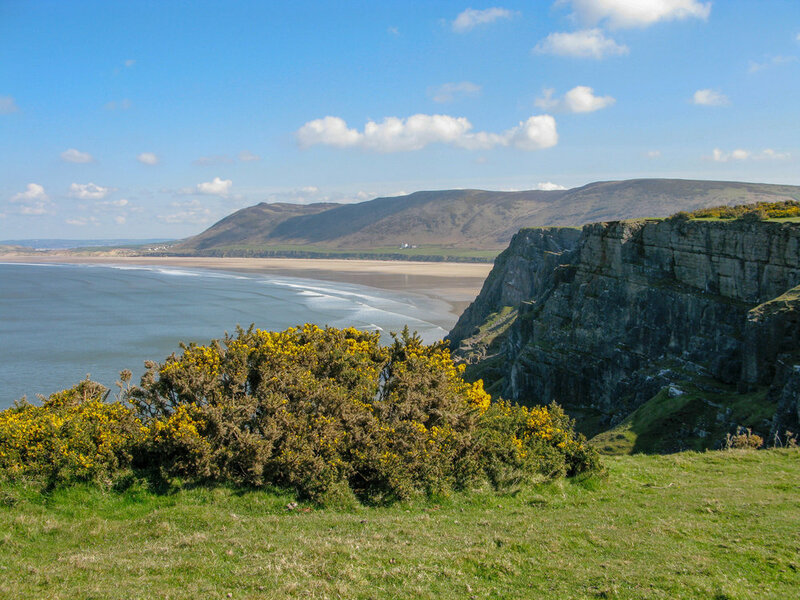 Rhossili Bay is the most westerly bay on the Gower peninsula and bears the full might of the Atlantic swells. It is the most consistent surfing beach on Gower, with the biggest waves at the north end at Llangennith. 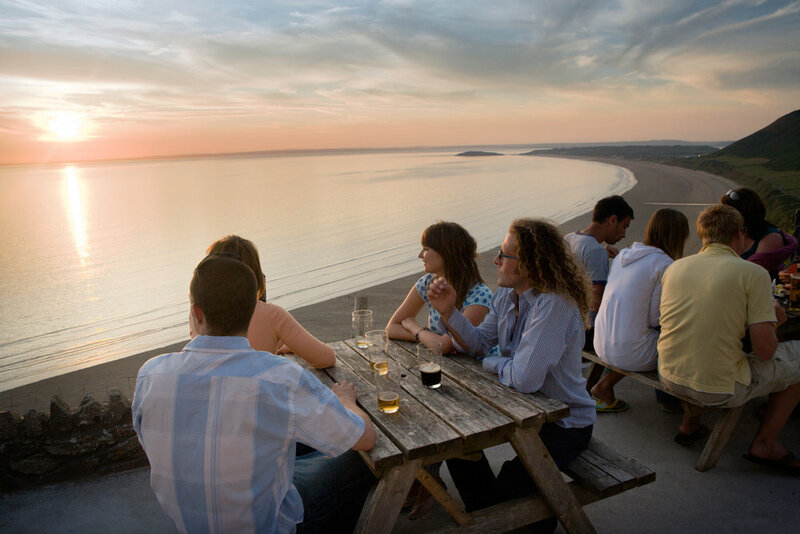 It is a dramatic environment with Rhossili Downs towering above the vast expanse of beach that stretches three miles. Heading west along the cliff path towards the end of the peninsula there is Worm's Head, a mile long serpent-like promontory jutting out into the ocean. Access to the beach; a good path leads down the side of the cliffs, but its a steep climb back up to the car park. 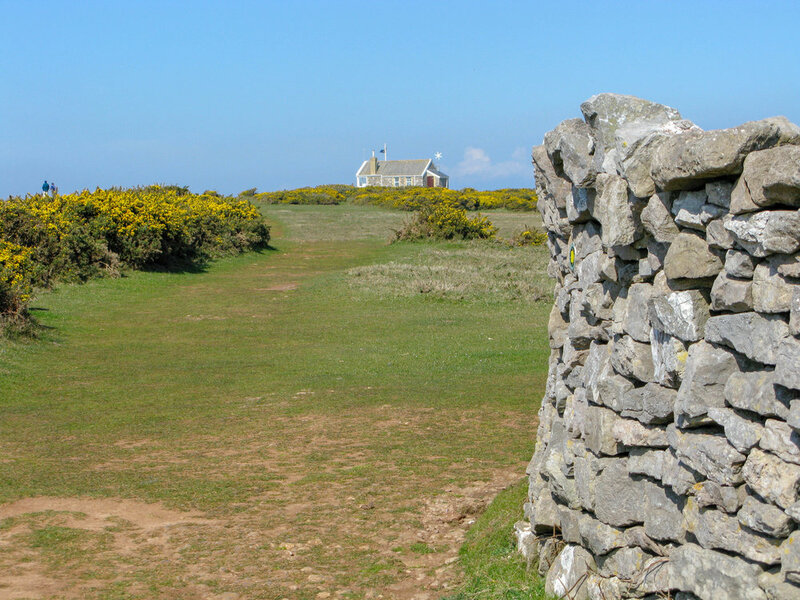 For spectacular panoramic views over the bay why not walk up Rhossili Downs, the climb and views will take your breath away, but well worth it! WARNING: There is no Lifeguard patrol on this beach, do not swim in big surf as there are strong undertows. 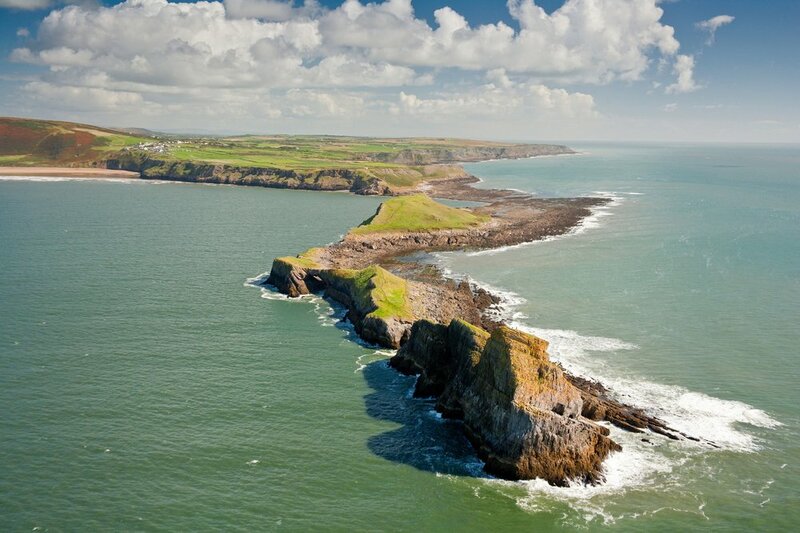 Before you walk out onto Worm's Head please check the tide times carefully and allow enough time to get back.